Is Your Check Engine Light On? 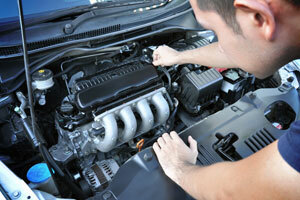 Our Engine Services Can Help. If you are like many car or truck owners you have little idea of what an illuminated yellow light on your dash is trying to tell you! While it is often confused with the service engine soon light on the gauge cluster, it is usually a minor issue although it can indicate a serious problem such as a bad catalytic converter. Call or stop by Rick’s Tire and Chevron. Our ASE® certified and State emissions certified mechanics know how to diagnose the cause and fix it! When you see a service engine soon light flashing it needs to be checked by one of our ASE® certified or State emissions certified mechanics as soon as possible. When your light is red don’t panic, but you may have a serious problem and pulling over safely and turning off the ignition is advisable. 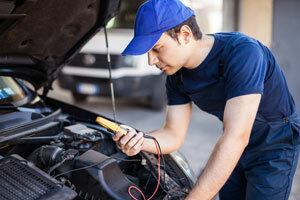 When your light is yellow or amber you may generally drive safely for a short distance to our local auto engine repair shop where our certified mechanic can perform a diagnostics test and bumper-to-bumper inspection to determine the origin of the problem. In either case we recommend having it diagnosed as soon as possible because the level of severity varies greatly. 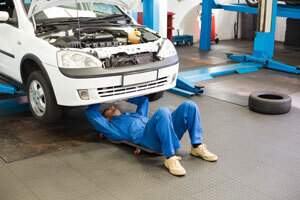 We are here to help keep your engine in tip-top shape by providing engine maintenance and repairs in our full service automobile engine repair shop.